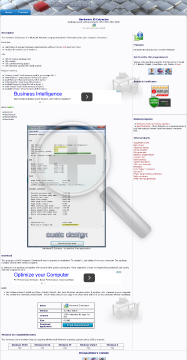 TFloatSpinEdit – Allows user to enter a float number and increase/decrease its value (via spin buttons) or manually edit it. Suite of .NET APIs for sound recording, playback, mixing and playlist management. 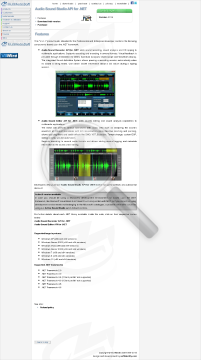 Contains “Audio DJ Studio API for .NET” and “Audio Sound Recorder API for .NET”. Suite of ActiveX controls for sound recording and editing. Contains “Active Sound Recorder” and “Active Sound Editor”. Suite of .NET components for sound recording, playback, mixing and playlist management. 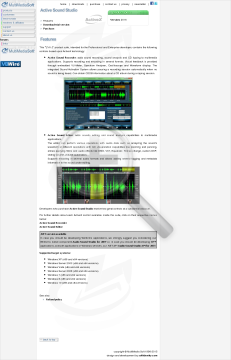 Contains “Audio DJ Studio” and “Audio Sound Recorder”. Suite of .NET APIs for sound recording, editing, playback, mixing and playlist management. Suite of native .NET APIs for sound recording and editing. Audio Sound Recorder API for .NET is a custom API that makes it easy adding sound playback and mixing capabilities to applications. Audio Sound Recorder API for .NET is designed to work directly with your sound card or with your CD/DVD player, so you can record almost any audio, including that from a microphone, a line-in jack or a CD player (CD ripping), at near-perfect quality. The whole recorded sound can be kept in memory for later use or stored on the hard disk using several formats like WAV, MP3, WMA and OGG Vorbis; once a recording session has been completed, it’s possible to hear recorded sound through a very basic playback system. Contains a visual Waveform Analyzer and allows restarting a recording session in insert, append, overwrite or mixing mode. .NET custom API that adds audio/video playback, mixing capabilities and playlists management to DJs applications. Supports many audio/video formats. The use of DirectSound and ASIO allows the allocated players to have a separate control over Volume, Tempo, Playback Rate, Pitch and Equaliser values: visual feedback is provided through embedded VU-Meter, Spectrum Analyser, Oscilloscope and Waveform display.